2 When the menu appears, click Save Target As. 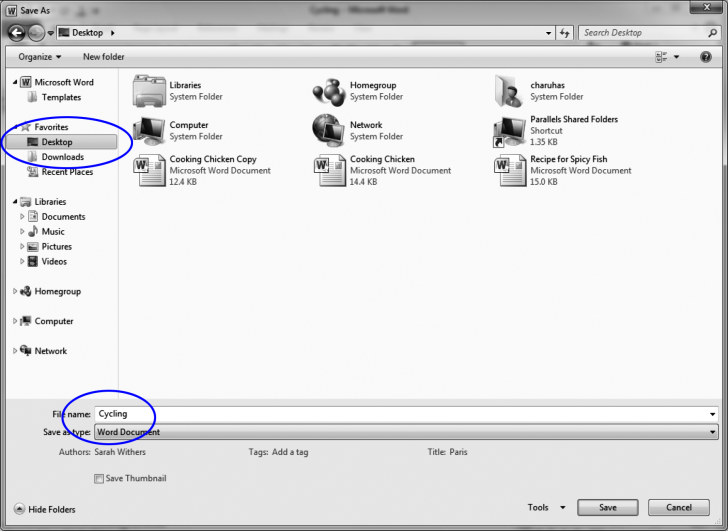 3 When the Save As window appears, save Cycling.docx on the desktop. 4 Double-click Cycling.docx to open it.